In the music business, the busiest guy of his generation may be Ryan Tedder. The singer-songwriter built a dual career—as frontman for the Denver-based OneRepublic, and as a prolific and visible producer of global hits for other pop music superstars. Growing up in a religious family, Tedder cites his father, Gary, as his earliest musical influence. As a teenager, he had an epiphany that songwriting was the key to a long-term career. In his senior year, Tedder moved to Colorado Springs and became friends with guitarist Zach Filkins at Colorado Springs Christian High School, playing on the soccer team and deciding to start a band. They headed to different colleges; Tedder studied at Oral Roberts University, and Filkins wound up in Illinois. Tedder competed in a singer-songwriter talent search and was selected to perform on MTV. He caught the attention of hip-hop producer Timbaland, who reached out to Tedder a year and a half after the show aired and took him under his wing. Under the alias of Alias, the 21-year-old Tedder started producing tracks. After two years in studios from New York to Los Angeles to Miami—“like going to college for production”—Tedder’s own artistic aspirations took over. He returned to Colorado Springs and reunited with Filkins. They moved to Los Angeles, joined by guitarist Drew Brown (born and raised in Boulder) and drummer Eddie Fisher, eventually adding Brent Kutzle (bass and cello). The band faced hard times during its five “minor league” years; the members returned from a performance at Coachella to find themselves dropped from their first record deal. Nonetheless, OneRepublic’s popularity suddenly started to soar on MySpace, the social networking service. When Timbaland launched his Mosley Music Group label with Interscope, he signed OneRepublic as his first rock act. The original version of “Apologize” appeared on Dreaming Out Loud, the band’s debut album. The remix version, heard on Timbaland Presents: Shock Value, was a massive hit internationally, reaching No. 1 in 16 countries; it reigned as the most popular digital download in history. Tedder had written the breakout single in his dad’s house in Colorado Springs in 2003. In 2009, Tedder was honored by ASCAP for writing and producing the two most played singles in Top 40 radio history, Leona Lewis’ “Bleeding Love” and OneRepublic’s “Apologize.” According to Mediabase, which monitors radio stations in North America, “Apologize” racked up 10,331 spins in its biggest week. OneRepublic’s second single, “Stop and Stare,” also achieved success. After writing and producing hits for the likes of Beyonce (“Halo”), Kelly Clarkson (“Already Gone”) and Jordin Sparks (“Battlefield”), Tedder turned his attention back to OneRepublic. Recorded in Denver, the album Waking Up was released in November 2009; the single “All the Right Moves” charted in the Top 10 in several countries and at the #18 spot on the Billboard Hot 100. Tedder did his best to make Denver a go-to destination for pop music production, writing hit songs for his band and other artists from the comfort of his private use studio. 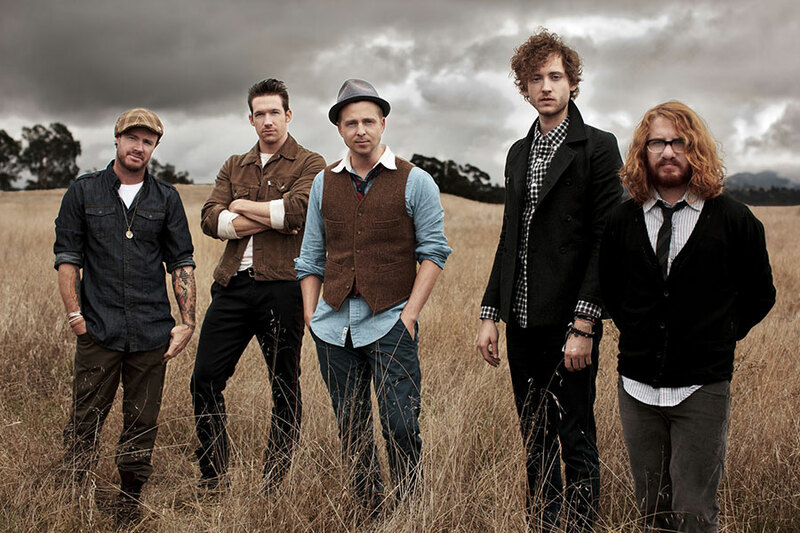 In 2013, Native, OneRepublic’s third studio album, peaked at #4 on the Billboard 200, and “Counting Stars” topped “Apologize” as the band’s biggest single, reaching No. 1 in many countries including Canada and the U.K. Tedder continued to work two jobs, as he put it—One Republic and go-to producer of major hits. Tedder had credits on over two-dozen charting singles in 2013, from Elie Goulding’s “Burn” to Demi Lovato’s “Neon Lights.” Billboard crowned Tedder songwriter of the year and estimated that he made $2.5 million for his efforts. Tedder feels the pull between his own multiplatinum band’s music and that of his list of flashy music biz clients.